Originally published in 1979, this classic reference work presents definitions of grammatical and linguistic terms for spoken Egyptian Arabic in dictionary form from "active participles" through "writing system." Entries feature definitions and examples of all the grammatical features including phonology, morphology, and syntax. Aimed at the intermediate to advanced student of Egyptian Arabic, this volume presupposes a basic knowledge of Egyptian Arabic. Arabic lexical items are presented in romanized transliteration and are therefore accessible to those who are not familiar with Arabic script. The terrorist attacks of September 11, 2001, and Hurricane Katrina in August 2005, generated a great deal of discussion in public policy and disaster management circles about the importance of increasing national resilience to rebound from catastrophic events. Since the majority of physical and virtual networks that the United States relies upon are owned and operated by the private sector, a consensus has emerged that public-private partnerships (PPPs) are a crucial aspect of an effective resilience strategy. Significant barriers to cooperation persist, however, despite acknowledgment that public–private collaboration for managing disasters would be mutually beneficial. Managing Disasters through Public–Private Partnerships constitutes the first in-depth exploration of PPPs as tools of disaster mitigation, preparedness, response, and resilience in the United States. The author assesses the viability of PPPs at the federal level and explains why attempts to develop these partnerships have largely fallen short. The book assesses the recent history and current state of PPPs in the United States, with particular emphasis on the lessons of 9/11 and Katrina, and discusses two of the most significant PPPs in US history, the Federal Reserve System and the War Industries Board from World War I. The author develops two original frameworks to compare different kinds of PPPs and analyzes the critical factors that make them successes or failures, pointing toward ways to improve collaboration in the future. This book should be of interest to researchers and students in public policy, public administration, disaster management, infrastructure protection, and security; practitioners who work on public–private partnerships; and corporate as well as government emergency management professionals and specialists. A set of 11 audiocassettes totaling 11 hours is available to accompany this volume. A set of 10 audiocassettes is available to accompany Volume II. A Descriptive Grammar of Nepali uses the theoretical framework developed by K.L. Pike. Mission Creep: The Militarization of US Foreign Policy? examines the question of whether the US Department of Defense (DOD) has assumed too large a role in influencing and implementing US foreign policy. After the Cold War, and accelerating after September 11, the United States has drawn upon the enormous resources of DOD in adjusting to the new global environment and challenges arising from terrorism, Islamic radicalism, insurgencies, ethnic conflicts, and failed states. Contributors investigate and provide different perspectives on the extent to which military leaders and DOD have increased their influence and involvement in areas such as foreign aid, development, diplomacy, policy debates, and covert operations. These developments are set in historical and institutional context, as contributors explore the various causes for this institutional imbalance. The book concludes that there has been a militarization of US foreign policy while it explores the institutional and political causes and their implications. “Militarization” as it is used in this book does not mean that generals directly challenge civilian control over policy; rather it entails a subtle phenomenon wherein the military increasingly becomes the primary actor and face of US policy abroad. 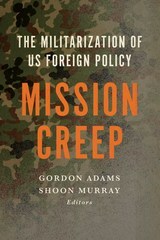 Mission Creep’s assessment and policy recommendations about how to rebalance the role of civilian agencies in foreign policy decision making and implementation will interest scholars and students of US foreign policy, defense policy, and security studies, as well as policy practitioners interested in the limits and extents of militarization. In Radical Arab Nationalism and Political Islam, Lahouari Addi attempts to assess the history and political legacy of radical Arab nationalism to show that it contained the seeds of its own destruction. While the revolutionary regimes promised economic and social development and sought the unity of Arab nations, they did not account for social transformations, such as freedom of speech, that would eventually lead to their decline. But while radical Arab nationalism fell apart, authoritarian populism did not disappear. Today it is expressed by political Islam that aims to achieve the kind of social justice radical Arab nationalism once promised. Addi creatively links the past and present while also raising questions about the future of Arab countries. Is political Islam the heir of radical Arab nationalism? If political Islam succeeds, will it face the same challenges faced by radical Arab nationalism? Will it be able to implement modernity? The future of Arab countries, Addi writes, depends on this crucial issue. 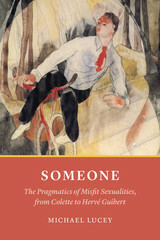 Published in collaboration with Center for Contemporary Arab Studies, Georgetown University. Agard provides an historical comparison of the major Romance languages with a reconstruction of their common source and a chronological account of their development through changes and splits. A strictly descriptive—or synchronic—approach to romance linguistics. Local governments do not stand alone—they find themselves in new relationships not only with state and federal government, but often with a widening spectrum of other public and private organizations as well. The result of this re-forming of local governments calls for new collaborations and managerial responses that occur in addition to governmental and bureaucratic processes-as-usual, bringing locally generated strategies or what the authors call "jurisdiction-based management" into play. Based on an extensive study of 237 cities within five states, Collaborative Public Management provides an in-depth look at how city officials work with other governments and organizations to develop their city economies and what makes these collaborations work. Exploring the more complex nature of collaboration across jurisdictions, governments, and sectors, Agranoff and McGuire illustrate how public managers address complex problems through strategic partnerships, networks, contractual relationships, alliances, committees, coalitions, consortia, and councils as they function together to meet public demands through other government agencies, nonprofit associations, for-profit entities, and many other types of nongovernmental organizations. Beyond the "how" and "why," Collaborative Public Management identifies the importance of different managerial approaches by breaking them down into parts and sequences, and describing the many kinds of collaborative activities and processes that allow local governments to function in new ways to address the most nettlesome public challenges. The real work of many governments is done not in stately domed capitols but by a network of federal and state officials working with local governments and nongovernmental organizations to address issues that cross governmental boundaries. Managing within Networks analyzes the structure, operations, and achievements of these public management networks that are trying to solve intractable problems at the field level. It examines such areas as transportation, economic and rural development, communications systems and data management, water conservation, wastewater management, watershed conservation, and services for persons with developmental disabilities. Robert Agranoff draws a number of innovative conclusions about what these networks do and how they do it from data compiled on fourteen public management networks in Indiana, Iowa, Kentucky, Nebraska, and Ohio. Agranoff identifies four different types of networks based on their purposes and observes the differences between network management and traditional management structures and leadership. He notes how knowledge is managed and value added within intergovernmental networks. This volume is useful for students, scholars, and practitioners of public management. In this volume leading teachers of Arabic, many of whom have written influential textbooks for advanced learners, explore the realities and challenges of teaching Arabic as a foreign language. Topics covered include the state of the Arabic teaching profession; the institutional challenges in U.S. and study-abroad programs; the teaching of various skills such as writing, reading, speaking, and listening; the varieties of Arabic and their relevance in the classroom; the uses of technology in the classroom; and testing. Published in 1995, many of the issues raised in this volume remain relevant today. The papers in this volume examine strategies for language acquisition and language teaching, focusing on applications of the strategic interaction method. The essays in this volume explore communication across cultures using an interdisciplinary approach to language teaching and learning, mediated by the growing field of educational linguistics. Topics include the use of English as a medium of wider communication and the growth of national varieties of English throughout the world. An international array of distinguished contributors includes scholars from China, Great Britain, Hong Kong, India, Israel, Nigeria, Singapore, Taiwan, Ukraine, and the United States. 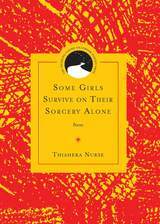 This collection suggests that language diversity is a unifying force in a globally interdependent world. This volume examines linguistics, language acquisition, and language variation, emphasizing their implications for teacher education and language education. A majority of the essays consider issues in second language acquisition, dealing specifically with learners and instructors, or concentrating on the larger social and societal context in which learning and acquisition occur. Topics highlighted include the current and often controversial debate over bilingual education, language variation, and the past, present, and future role of linguistics in language pedagogy. The 2000 Georgetown University Round Table on Languages and Linguistics brought together distinguished linguists from around the globe to discuss applications of linguistics to important and intriguing real-world issues within the professions. With topics as wide-ranging as coherence in operating room communication, involvement strategies in news analysis roundtable discussions, and jury understanding of witness deception, this resulting volume of selected papers provides both experts and novices with myriad insights into the excitement of cross-disciplinary language analysis. Readers will find—in the words of one contributor—that in such cross-pollination of ideas, "there's tremendous hope, there's tremendous power and the power to transform." Marking the return--after a two-year hiatus--of this annual collection of essays on linguistics and language education, the 1999 volume speaks to the most pressing social issues of our time. More than thirty contributors from around the world take up longstanding debates about language diversity, language standardization, and language policy. They tackle such controversial issues as the Official English movement, bilingual education, and ideological struggles over African American Vernacular English. Using Numbers in Arabic is an invaluable reference for the intermediate to advanced learner of Arabic. The proper use of numbers can often be perplexing for students of the Arabic language. While most Arabic grammars and textbooks include a chapter or discussion on the topic, that coverage is inadequate for serious students, scholars, and researchers. This guide shows the reader, using clear explanations and examples, exactly how to use cardinal and ordinal numbers in Arabic, from one to the billions and beyond. 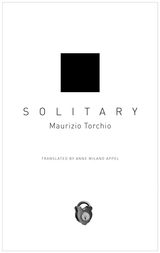 Each entry features a brief description in English followed by examples in Arabic from actual written and recorded texts; each example is also accompanied by an English translation. All information is based on real-world practice, with helpful citations from literature and media to illustrate each principle. In a second section, the author covers useful number-related topics, such as dates, times, fractions, decimals, and percentages, as well as basic arithmetic functions. While focusing on Modern Standard Arabic, the volume also covers Classical Arabic and describes and illustrates differences between classical and modern practice. The volume’s glossary, bibliography, and index will also be useful to students. Using Numbers in Arabic is a handy addition to the reference shelf of every serious student of the Arabic language, and it will be welcomed by native speakers with fluency in English interested in a reference on how to render numbers correctly. Modern Iraqi Arabic with MP3 Files is an introductory textbook—suitable for classroom or self-study—for those with no previous knowledge of Arabic or those who know Arabic but want to learn the Iraqi dialect. A detailed discussion of the consonants, vowels, and other characteristics of Iraqi phonetics—including pronunciation exercises on the CD—serves the needs of travelers, businesspeople, diplomats, archaeologists, and scholars who want to learn to speak the language quickly and efficiently. NEW TO THIS EDITION: • Arabic script has been added so the reader has a choice of following the Arabic writing or the transcription in the Roman alphabet. • Four entirely new lessons cover medical care, media (radio, television, and journalism), telephone conversations, and cultural and folkloric tales. • All audio materials from the first edition—plus new audio materials for the new lessons—are included as MP3 files on a CD bound into the book. 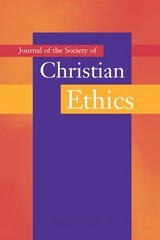 The Journal of the Society of Christian Ethics continues to be an essential resource for students and faculty pursuing the latest developments in Christian and religious ethics, publishing refereed scholarly articles--a preeminent source for further research. The Journal also contains book reviews of the latest scholarship available. The Journal of the Society of Christian Ethics continues to be an essential resource for students and faculty pursuing the latest developments in Christian and religious ethics, publishing refereed scholarly articles—a preeminent source for further research. The Journal also contains book reviews of the latest scholarship available. 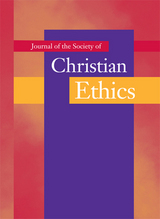 The Journal of the Society of Christian Ethics continues to be an essential resource for students and faculty pursuing the latest developments in Christian and religious ethics, publishing refereed scholarly articles-a preeminent source for further research. The Journal also contains book reviews of the latest scholarship available. The Journal of the Society of Christian Ethics continues to be an essential resource for students and faculty pursuing the latest developments in Christian and religious ethics, publishing refereed scholarly articles — a preeminent source for further research. 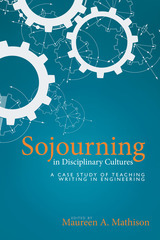 The Journal also contains book reviews of the latest scholarship available. In Beyond a Western Bioethics, physicians Angeles Tan Alora and Josephine M. Lumitao join eight other contributors to provide a comprehensive exploration of bioethical issues outside of the dominant American and western European model. Using the Philippines as a case study, they address how a developing country's economy, religion, and culture affect the bioethical landscape for doctors, patients, families, and the society as a whole. American principles of medical ethics assume the primacy of individual autonomy, the importance of truth-telling, and secular standards of justice and morality. In the Philippines, these standards are often at odds with a culture in which family relationships take precedence over individualism, and ideas of community, friendship, and religion can deeply influence personal behavior. Pervasive poverty further complicates the equation. Contributors move from a general discussion of the moral vision informing health care decisions in the Philippines to an exploration of a wide range of specific cases: family planning, care of the elderly, organ transplants, death and dying, medical research, AIDS care, doctor-patient relationships, informed consent, and the allocation of scarce health-care resources. Written for both students and professionals, the book provides a much-needed perspective on how medical ethics are practiced in a developing nation, and it successfully challenges the wisdom of global bioethical standards that do not account for local cultural and economic differences. In this new volume, two distinguished professors of social work debate the question of whether family preservation or adoption serves the best interests of abused and neglected children. Arguing the merits of keeping families together whenever possible, Ruth G. McRoy examines the background, theory, and effectiveness of family preservation programs. She provides practical recommendations and pays particular attention to the concerns of African American children. Claiming that there is insufficient evidence that family preservation actually works, Howard Altstein counters that children from truly dysfunctional families should be given the chance for stable lives through adoption rather than left in limbo. Social marketing is being adopted by a growing number of government and nonprofit organizations around the world because of its power to bring about important social changes. An array of commercial marketing concepts and techniques has been applied to problems ranging from child abuse to teen smoking to environmental neglect. However, in crafting these programs, agencies face complex ethical challenges. For example, is it acceptable to exaggerate risk and heighten fear if doing so saves more lives? What if improving the lives of one group has negative effects on another? How does a marketing campaign respect a group's culture while calling for fundamental change within it? In Ethics in Social Marketing, ten contributors draw on their professional experience and the literature of ethics to set forth a range of problems and offer frameworks for their resolution. They introduce philosophical rules and practical models to guide decision making, and they focus on such complex issues as unintended consequences, ethical marketing alliances, and professional ethical codes. The book not only introduces students to the special moral and ethical burdens of social marketing but also challenges practitioners to address difficult issues that are easily minimized or avoided. Dari is the most used language in Afghanistan; all official documents are written in it. This textbook, designed to cover one year of instruction, offers beginning learners a communicative approach to the Dari language that develops the four language skills—speaking, listening, reading, and writing—through culturally relevant activities. The book is accompanied by a CD-ROM with extensive authentic materials, including audio and videos recorded in Afghanistan, to help learners perform tasks and functions in both colloquial and standard forms. Grammar and vocabulary in each thematic lesson are chosen carefully to help learners perform these tasks and functions at an elementary level and beyond. 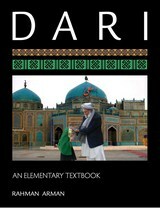 Dari: An Elementary Textbook prepares learners to perform at level 1+ or 2 on the ILR scale and at the novice high/intermediate low level on the ACTFL scale. Special notes are included for people with experience in Persian to help them learn Dari more efficiently. It is the fifth elementary level textbook published in partnership with the Center for Languages of the Central Asian Region (CeLCAR), following Pashto, Tajiki, Uzbek, and Uyghur. Dari is the most commonly used language in Afghanistan; in fact, all official documents are written in it. This textbook, designed to cover one year of instruction, offers intermediate learners a communicative approach to the Dari language that develops the four language skills—speaking, listening, reading, and writing—through culturally relevant activities. It is accompanied by a CD-ROM with extensive authentic audio and video to help learners perform tasks and functions in both colloquial and standard forms. Emphasizing task-oriented, communicative activities that develop key language skills, this textbook offers a thematically organized approach to learning the Dari language for intermediate students. The topics discussed feature travel, micro-loans for businesses, shopping, and meeting with officials. Innovations include the functional approach to grammar and an emphasis on integrated skills development. With its various authentic materials, including a DVD with videos filmed in the different regions of Afghanistan and audio by native speakers, students have many opportunities to advance their language skills. This fifth edition, which includes important contributions by Jean deBlois, C.S.J., considers everyday ethical questions and dilemmas in clinical care and deals more deeply with issues of women's health, mental health, sexual orientation, artificial reproduction, and the new social issues in health care. The authors devote special attention to the various ethical theories currently in use in the United States while clearly presenting a method of ethical decision making based in the Catholic tradition. They discuss the needs of the human person, outlining what it means to be human, both as an individual and as part of a community. In the wake of the successful cloning of animals and the promises—or fears—of stem cell research, new discoveries in science and medicine need more than ever to be accompanied by careful moral reflection. Contending that concern over the ethical dimensions of these and other like issues are no longer just in the domain of those involved in medical practice, the third edition of Ethics of Health Care claims these are vital topics that should matter deeply to all citizens. While stressing the Catholic tradition in health care ethics, Ethics of Health Care is ecumenical, incorporating a broader Christian tradition as well as humanistic approaches, and takes as common ground for mutual understanding the Universal Declaration of Human Rights of the United Nations. This new third edition is a response to the many developments in theology and the startlingly rapid changes in the arenas of medicine and health care over the past decade, from the dominance of managed care to increased surgery on an "outpatient" basis; from hospice care for the dying to the increasing use of drugs in the treatment of mental illness. Revised and thoroughly up-to-date, this third edition continues with its valuable teaching aids, including case studies, study questions, chapter summaries, a bibliography, and complete index. This fourth edition of Health Care Ethics provides a contemporary study of broad and major issues affecting health care and the ethics of health care from the perspective of Catholic teachings and theological investigation. It aims to help Christian, and especially Catholic, health care professionals solve concrete problems in terms of principles rooted in Scripture and tested by individual experience. Since the last edition of Health Care Ethics, there have been many changes in the fields of health care medicine and theology that have necessitated a fourth edition. Ashley and O'Rourke have revised their seminal work to address the publication of significant documents by the Church and the restructuring of the health care system. Features of the revised fourth edition: • Discusses significant Church documents issued since the third edition includes "The Splendor of Truth" (Veritatis Splendor), and the "Gospel of Life" (Evangelium Vitae); the "Instruction on the Vocation of Theologians"; the Catechism of the Catholic Church; and the Revised Ethical and Religious Directives for Catholic Health Services. • Examines the implications of managed care techniques. • Probes such changes in the practice of medicine as the new emphasis on preventive care, the involvement of individuals in their own care, greater use of pharmaceuticals in psychiatry, and the greater role of genetics in diagnosis and prognosis. • Explores the quest for more compassionate care of the dying. Replete with practical advice for anyone considering a career in federal, state, or local government, Caught between the Dog and the Fireplug, or How to Survive Public Service conveys what life is really like in a public service job. The book is written as a series of lively, entertaining letters of advice from a sympathetic uncle to a niece or nephew embarking on a government career. Kenneth Ashworth draws on more than forty years of public sector experience to provide advice on the daily challenges that future public servants can expect to face: working with politicians, bureaucracy, and the press; dealing with unpleasant and difficult people; leading supervisors as well as subordinates; and maintaining high ethical standards. Ashworth relates anecdotes from his jobs in Texas, California, and Washington, D.C., that illustrate with humor and wit fundamental concepts of public administration. Be prepared, says Ashworth, to encounter all sorts of unexpected situations, from the hostile to the bizarre, from the intimidating to the outrageous. He shows that in the confrontational world of public policymaking and program implementation, a successful career demands disciplined, informed thought, intellectual and personal growth, and broad reading. He demonstrates how, despite the inevitable inefficiencies of a democratic society, those working to shape policy in large organizations can nonetheless effect significant change-and even have fun along the way. The book will interest students and teachers of public administration, public affairs, policy development, leadership, or higher education administration. Ashworth's advice will also appeal to anyone who has ever been caught in a tight spot while working in government service. The drafting of a new strategic concept, begun during NATO’s 60th anniversary summit, presents an opportunity to shape a new transatlantic vision that is anchored in the liberal democratic principles so crucial to NATO’s successes during its Cold War years. Furthermore, that vision should be focused on equipping the Alliance to anticipate and address the increasingly global and less predictable threats of the post-9/11 world. 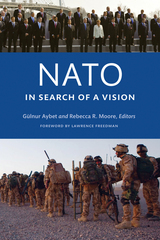 This volume brings together scholars and policy experts from both sides of the Atlantic to examine the key issues that NATO must address in formulating a new strategic vision. With thoughtful and reasoned analysis, it offers both an assessment of NATO’s recent evolution and an analysis of where the Alliance must go if it is to remain relevant in the twenty-first century. Compares the sounds, phonology, and prosody of General American English and Southeastern Brazilian Portuguese. This study analyzes passive sentences in English and Portuguese which result from a post-semantic transformation applied when a nound, which does not play the semantic role of actor, is chosen as syntactic subject. Choice between a passive and its non-passive or active counterpart reflects differences in the distribution of information in the sentence as regards the relative importance of the latter's constituents for communication. Such distribution is analyzed in terms of Praque school theory, especially that involving the notions of communicative dynamism and the distribution of theme and rheme. The book concludes with a contrastive analysis of English and Portuguese passive sentence patterns which serves as the basis for observations on the teaching of Portuguese passives to native speakers of English. Designed to cover beginning college levels of language instruction, Uzbek: An Elementary Textbook provides learners and instructors with a wide selection of materials and task-oriented activities to facilitate the development of language learning. It offers a thematically organized and integrative approach to the Uzbek language and its culture, including a functional approach to grammar, an emphasis on integrated skills development, and the use of authentic materials such as videos filmed in various regions of Uzbekistan. Uzbek: An Elementary Textbook contains one CD-ROM that includes authentic audio and video materials to accompany the text and integrated, interactive exercises and games, all in Flash format and all of which are keyed to the textbook. It includes a supplementary Cyrillic reader, an extensive glossary, and four-color illustrations and photographs throughout. Topics CoveredThe Uzbek alphabet, greetings and introductions, commands and requests, daily routines, etiquette, weather, family, money, food, clothing, travel, leisure, and medical matters. On a PC, files will load automatically.On a Mac, double click on the disk icon. Then, double click on the program icon that looks like an "f" in a red square labeled "Uzbek." 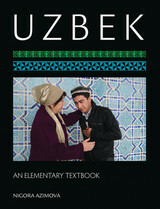 Designed to help adult professional and higher education learners deepen their understanding of the Uzbek language, culture, and its people, Uzbek: An Intermediate Textbook uses a wide selection of materials and task-oriented activities drawn from realistic situations and contexts to develop the four language skills (listening, reading, speaking, and writing). With special attention to grammatical accuracy, a variety of texts, audio clips, videos, and activities it encourages learners to explore Uzbek culture and to compare and contrast it with their own. 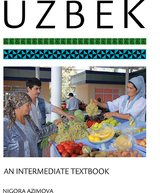 Uzbek: An Intermediate Textbook prepares learners to perform at level 1+ or 2 on the ILR scale and at the Intermediate High or Advanced Low level on the ACTFL scale. • Topics covered include work, study, personal interests, and travel. • An accompanying CD-ROM provides audio and video files that complement activities in the book. • The book uses the Cyrillic alphabet—the alphabet used in current government reports and the mass media as well as in archival material from the Soviet era. • A useful appendix compares the Cyrillic alphabet with the Latin alphabet. • Uzbek-English and English-Uzbek glossaries facilitate vocabulary acquisition. Written for intermediate to advanced students of Japanese, this book focuses on the language used in real-life business situations, giving students both the linguistic skills and the practical information they need to conduct business in Japan. More than a guide to language and vocabulary, Business Japanese emphasizes critical thinking and cultural awareness. The book covers Internet and other technical terminology, numbers, and the phrasing of corporate documents. In addition to language elements, the authors provide a short course in the cultural learning that takes place when Americans do business in Japan, discussing topics such as interpersonal dynamics and communications styles. The book also uses the case-study method commonly accepted in business schools. Appropriate for content-based courses as well as the independent student, Business Japanese is not only an effective language text but also an intercultural handbook.